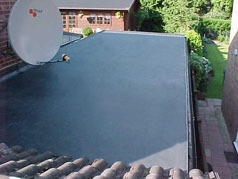 As trained, authorised installers of Firestone EPDM Rubber we highly recommend this system for your flat roof renewal or flat roof replacement. Most flat roofs today have an existing covering built up of a 3-layer felt system, hot bonded to the decking and covered in granite chippings or reflectant aluminium paint. Due to it’s lack of flexibility, this system weathers within 10 years and shows signs of blistering and breakdown of seams. 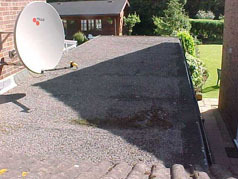 If you are replacing your flat roof you won’t want to install one that may need replacing again in 10 years time. Our EPDM roofing system supersedes the outdated 3-layer hot bitumen roof and is guaranteed for 20-years with a life expectancy of 50 years!!. 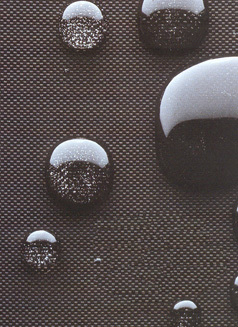 What is EPDM & Why should I choose it? Ethylene Propylene Diene Monomer or EPDM is a high performance synthetic rubber membrane developed in the USA over 30 years ago and designed to withstand extreme climates such as Alaskan cold and Arabian Gulf heat. 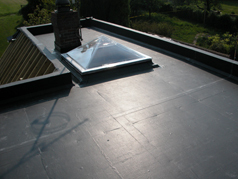 It offers outstanding durability and suits all types of flat or gently sloping roofs. 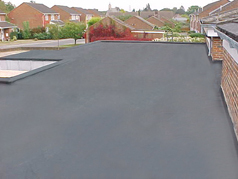 Originally designed for the commercial market with over 500 million square meters already installed worldwide, EPDM is now proving to be the more popular option for domestic projects when customers are considering the replacement of their flat roof. Where can EPDM Flat Roofing be used? 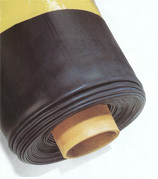 As the EPDM is available on a large roll, it is cut to fit your roof prior to installation. Then it can be either adhered or ballasted to your roof structure. As the use of the dangerous bitumen burning pot is not necessary, our insurance premiums are lower – this saving we can pass on to our customers. Due to its composition, essentially carbon black and EPDM polymers, FIRESTONE RubberGard® EPDM offers unmatched resistance to ozone, UV radiation, and ultimately ageing. FIRESTONE RubberGard® EPDM remains flexible at temperatures up to -45˚C and can elongate over 300% to accommodate building movements and temperature fluctuations. EPDM requires little or no maintenance. This feature combined with the inherent durability and competitive installed cost of EPDM roofing systems, result in a very low life-cycle cost. For more information regarding EPDM, please see our FAQ page or for a free no obligation quotation please contact us or email us now.